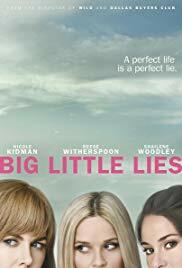 Big Little Lies (2017): I start the week out with what is technically a tv series but is referred to as a limited series so since I make the rules I decide what qualifies as a movie. This is part 2 of my Nicole Kidman trilogy. This centers around a rather snobby town of people with seemingly perfect lives but each episode we get through, we continue to know there is no such thing as a perfect life. The show centers around mothers Madeline, played by Reese Witherspoon, Celeste, played by Kidman, and new girl in town Jane, played by Shailene Woodley who each have an issue of sorts. Zoe Kravitz, Laura Dern, Darby Camp, Alexander Skarsgard, Adam Scott, James Tupper, Jeffrey Nordling, Iain Armitage, Sarah Baker, Sarah Burns, Merrin Dungey, and many others co-star in this series. I feel I have described what I can without giving too much away. One cool thing about this is the focus on musical AVENUE Q. This has seven episodes where it slowly leads into a payoff on each episode. This has some pretty well written characters as well as quite a bit of suspense. I guess there is a second season starting sometime this year. Little Swee'pee (1936): This is my animated short for the week which centers around Popeye and we are introduced to baby Swee 'Pea. Olive has Popeye take him to the zoo where he spends most of his time rescuing Swee 'Pea from various zoo animals. Most of these focus on Popeye fighting with Bluto for the affections of Olive Oyl. 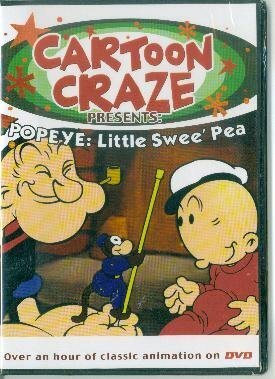 In this one, we get some fun interactions of Popeye trying to survive a baby. This is something that can be found on Amazon Prime as part of the "Cartoon Classics Vol. 3" and is easy to find on Youtube. 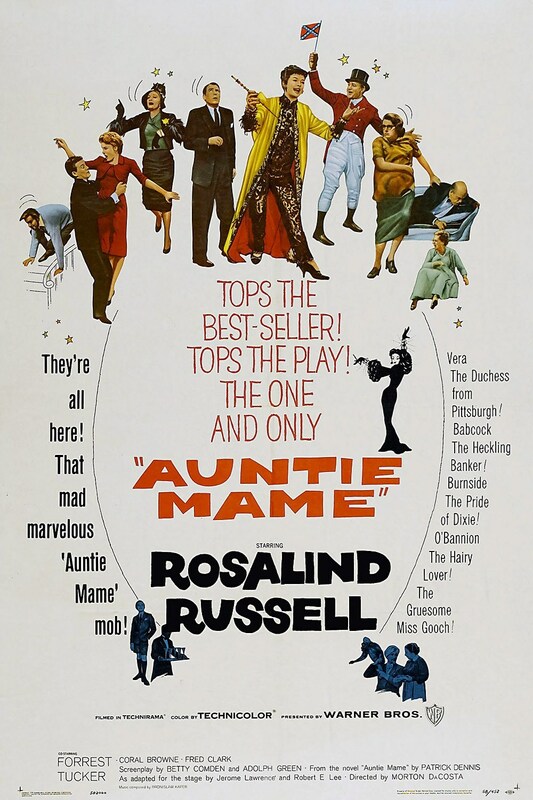 Auntie Mame (1958): Morton DaCosta directed this comedy based on the novel by Patrick Dennis. Rosalind Russell stars as the free-spirited title character who takes in her orphaned nephew Patrick, played Jan Handzlik when young and Roger Smith when older. While they become very close, Patrick's father's trustee Dwight does not approve of her lifestyle, played by Fred Clark, making the relationship with Mame's nephew complicated through the years. Forrest Tucker, Coral Browne, Patric Knowles, Joanna Barnes, Pippa Scott, Lee Patrick, and many others co-star in this film. Most know this as the popular stage musical MAME that came out in 1966. This story works very well either way. Russell brought a lot to Mame Dennis and while two and a half hours long, it is worth the time as it comes a lot of time in her life. There are some very funny and emotional moments in this film and deserves a look. 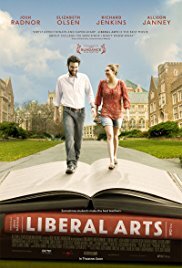 Liberal Arts (2012): Josh Radnor wrote and directed this this film and he also stars as the 35 year old admissions officer Jesse. When going back to his old alma mater for a professor's retirement party, he meets college student Zibby, played by Elizabeth Olsen, and as they get to know each other, they slowly fall for each other forming a relationship. While there, he connections with a few other interesting people that help him understand his life more. Richard Jenkins, Allison Janney, Elizabeth Reaser, John Magaro, Kate Burton, Robert Desiderio, Zac Efron, Kristen Bush, Ali Ahn, and many others co-star in this film. This is one that is driven by the characters and script. There is some really well written dialogue including some amusing nerd arguments. Also of interest is this is the first movie from Olsen that was not rated R though she would go onto play Scarlet Witch in the Marvel Cinematic Universe. This is available to watch on Hulu. 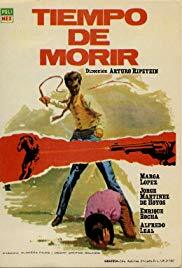 Time to Die (1966): This is my western for the Mexican western for the week which was directed by Arturo Ripstein. Jorge Martinez de Hoyos stars as Juan Sayago who is a gunman being released from prison after 18 years for killing someone in a dual. He returns to his hometown in hopes of living a normal life but the sons of the man he killed are hellbent on revenge. Marga Lopez and Enrique Rocha co-star in this western. This western kind of has shades on the 1950 film THE GUNFIGHTER with an aging gunslinger trying to live a normal life but is haunted by their past. This is one that has gone overlooked through the years but is now obtainable on Amazon Prime and is a must for western and foreign film fans. I am Trying to Break Your Heart (2002): This is my documentary for the week which was directed by Sam Jones and is based around the making of Wilco's fourth album YANKEE TANGO FOXTROT which includes a song of the title. This documents some of the history of the ups and downs of the alternative rock band and how the album in focus is quite different from their other work. 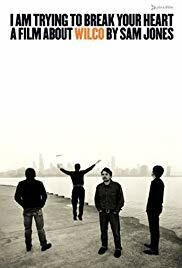 I don't feel anyone has to be fans of Wilco to be interested by this documentary and can appreciate their hard work with the band. 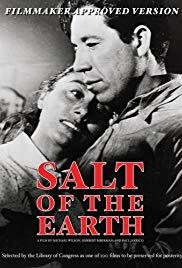 Salt of the Earth (1954): This is a movie based on a real-life strike in New Mexico against the Empire Zinc Mine which was put on by Mexican-Americans for the safety issues that go on in their job. This movie made quite a statement. This is also a look at feminism because of the wives who played a big part of the strike and getting the changes made but the husbands did not feel they should have been involved. I was very intrigued by this film and was a very good watch to me. Much of the people involved including director Herbert J. Biberman, screenwriter Michael Wilson, producer Paul Jarrico, and composer Sol Kaplan were "blacklisted" at the time where funding had to be found elsewhere and they had a hard time finding a location. They decided to make this movie as pro-communist as possible to fit the crime they had been accused of doing. It was the only American-made blacklisted film of all time. Actress Rosaura Reveultas was a pretty big actress in Mexico and was accused of communism during the Cold War scare and was deported from the United States and never made another U.S. film again but continued to work in Mexico. Many real-life members of International Union of Mine, Mill, and Smelter workers appear as extras as supporting members. This was a very realistic look at the treatment of minority workers and them standing up to them. This is available on Hoopla and is one that I believe everyone should watch if they have a chance. 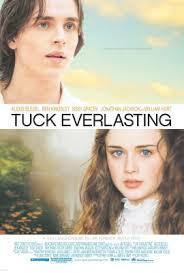 Tuck Everlasting (2002): This is my live-action Disney selection for the week. Jay Russell directed this movie based on the novel by Natalie Babbitt. GILMORE GIRLS alum Alexis Bledel stars as Winnie Foster who comes from a very wealthy and proper family but she wants to be more free spirited. When she is able to get away and leave the home she meets Jesse Tuck, played by Jonathan Jackson, who is part of a family that has immortality. Winnie and Jesse fall in love but Winnie must decide if immortality is really something she wants in life. William Hurt, Sissy Spacek, Scott Bairstow, Ben Kingsley, Amy Irving, Victor Garber, Elizabeth Shue, and many others co-star in this film. 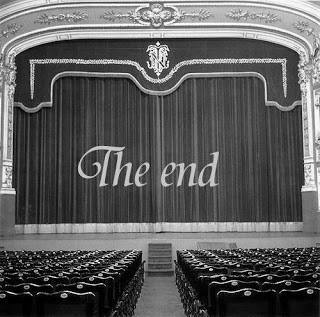 This is the theatrical film debut for Bledel. This is a pretty good look at the price of immortality and is a thought provoking family movie. It is also a musical as I look further into it. 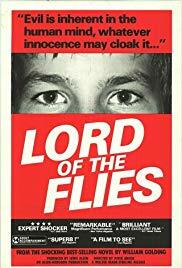 Lord of the Flies (1963): Peter Brook directed this adaptation based on the classic novel from William Golding. A group of young boys survive a plane accident and are left to fend for themselves. James Aubrey stars as Ralph and Hugh Edwards stars as Piggy and are the rational ones trying to prevent savagery but unable to do so after awhile and end up splitting into two factions. I remember having to read this book in high school and then watch the movie. I remember not liking this at all but as I watch it now, I see it is a very compelling story. This is a very believable story no matter what age range get put into it for people trapped in some way and not being able to co-exist. 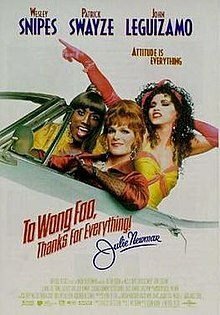 To Wong Foo, Thanks For Everything, Julie Newmar (1995): I end the week on this comedy which was directed by Beeban Kidron and is part two of my two-part John Leguizamo series. Wesley Snipes, Patrick Swayze, and Leguizamo all star as drag queens who set out on a road trip only to break down in a small and rather conservative town. This happens on a weekend and cannot fix their car until Monday when they get the part needed so they are stranded in the town. They do what they can to make the most of their situation and help the locals that are having their own situations. Stockard Channing, Blythe Danner, Jason London, Chris Penn, Melinda Dillon, Beth Grant, Alice Drummond, Marceline Hugot, Jamie Harrold, Mike Hodge, Michael Vartan, and many others co-star and there are some pretty amusing cameos. This was made in a time where this sort of lifestyle was far more unacceptable that it is now. While this was a very funny movie, it was also very eye-opening and has a really good message about acceptance of one another. The leads did a great job as the drag queens and each had their own qualities and flaws to complement each other. Well, that is it for this week. 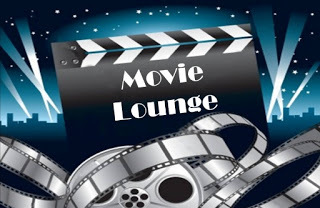 Tell me what you like and dislike and stay tuned for next week which so far includes Nicole Kidman, Ryan Gosling, and many others.